About the tea – The dry leaf consists of medium sized semi- pearl, twisted leaves, which expand and unfurl into gorgeous tea leaves. The fragrance of the dried tea is earthy and comforting. Infused tea – The tea cups out a champagne color liquor that has malty, nuanced and tannic aroma, like a fine second flush. The texture is smooth and mellow, with lighter mouthfeel and coppery after taste. The tea is medium-bodied with a moderate amount of astringency. Infusion – Infuse the leaves for four to five minutes with 95 – 100 C water. You will get at least three infusions out of this tea. Each of the three steeps I had, was bright, engaging, perfectly smooth and well balanced. Special thanks to Jayant Jalan, 23 yrs old, founder of Absolute Tea, for a wonderful evening of tea tasting. 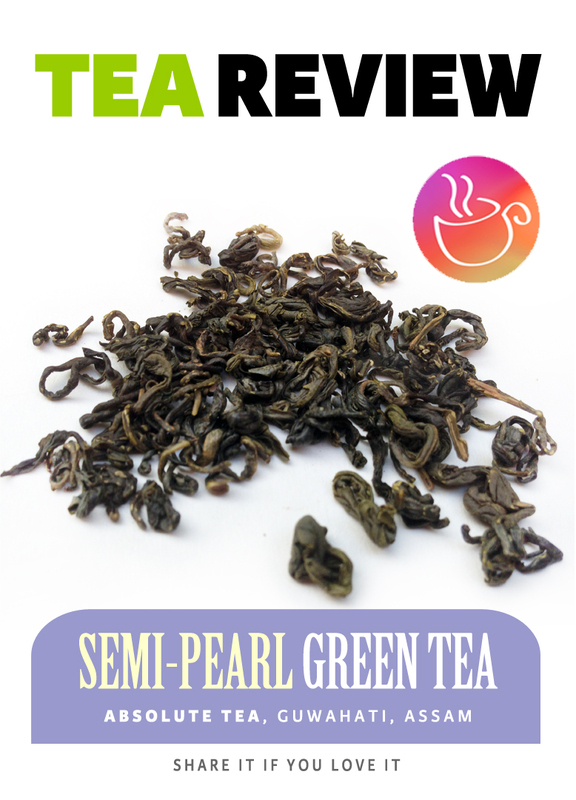 This entry was posted in Tea Review and tagged Absolute tea, assam tea review, Green Tea, semi pearl green tea, tea blog, tea brand review, tea review. Bookmark the permalink. Even I had a great time meeting and sipping cups with you guys! Was a great evening..
We've had the first review of our tea posted by @LoveforTeaDelhi – A Tea Blog handeled by a true Tea Lover! you’re truly a good webmaster. The website loading velocity is incredible.